Photos courtesy of L’Oreal Professionnel. Getting dry hair to look healthy and shiny can be frustrating. The best solution is to follow a few simple haircare tips, and add the best products for dry hair into your daily beauty routine. Since your dry hair is lacking moisture, it’s fairly obvious that it needs a lot of hydration. What’s not so obvious, however, is the type of hydration your hair really needs. The best expert to know and to evaluate what your hair needs is your James Geidner Hair Studio stylist. Ask us for advice on which type of hydration and treatments you should be using, both in the salon as well as at home. In general you want to look for haircare products that infuse hydration into each hair fiber. Essential oils such as avocado and cranberry oils for color care or argan oil for general nourishment, can be the perfect match to give you silky smooth hair without a greasy residue. Argan oil is ideal for unruly hair and to revive dry hair strands. All these powerful ingredients can be found in the Mythic Oil Range. 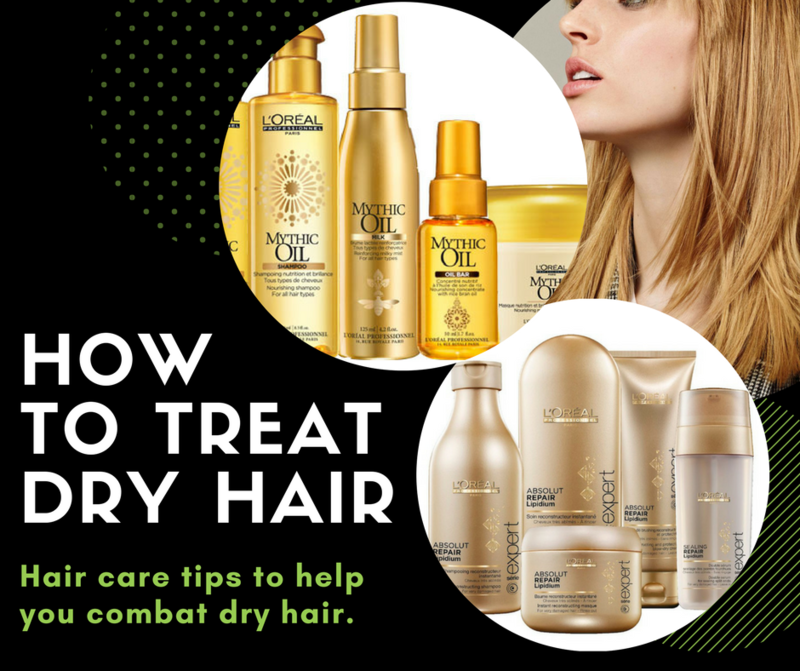 Home remedies for dry hair might sound like an easy option, but you actually need professional help from our experts to truly see and feel a difference in your dry hair. Only professionals are able to identify the level of dryness of your hair and suggest the most targeted treatment. At your next visit, ask for Absolute Repair Lipidium. The Absolut Repair Lipidium range is based on an innovative and breakthrough technology called the “Lipidium Complex” that targets your hair with and locks in optimal nourishment.